We’ve been having the most beautiful weather recently!! 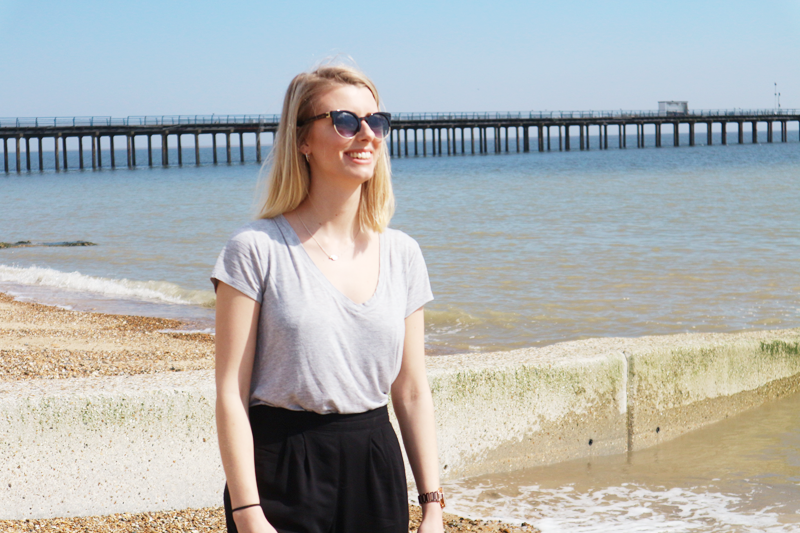 Since coming home for my easter break I’ve been stuck indoors either writing essays or working so when I had a couple of days off last week I was so excited to get outside and enjoy a bit of the sun. 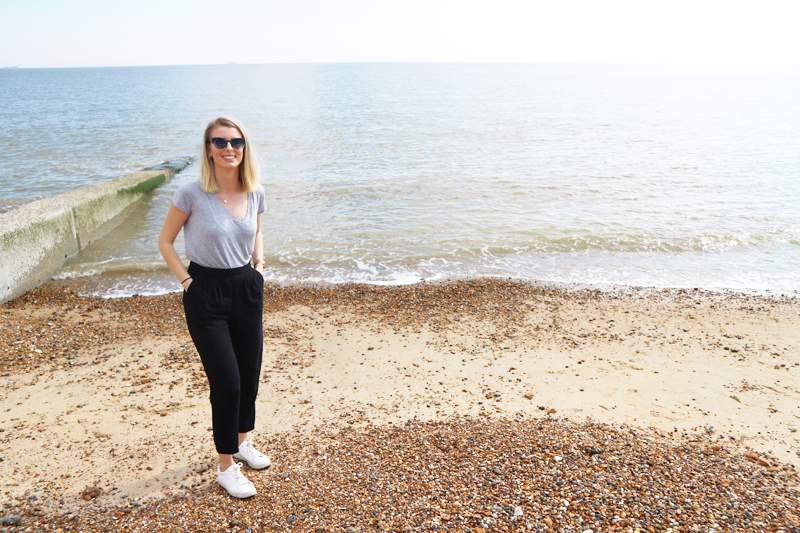 Jamie and I headed over to our local seaside town Felixstowe and took a few snaps with his new camera! He bought the Canon M10 which is absolutely goooorgeous. 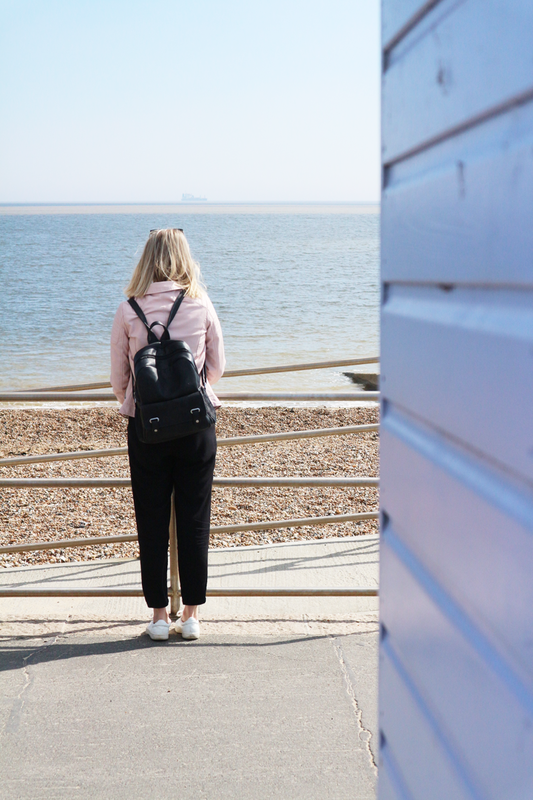 I am extremely jealous, dreaming on that Olympus Pen even more now.. We enjoyed a lovely ice cream by the seaside and soaked up a few rays. In terms of my outfit, I’ve recently dug out this pink jacket from my wardrobe. I bought it from Primark a few years ago but never really got much wear out of it until now. The pastel pink shade is so perfect for Spring and the weather we’re having at the moment, I just wish the style was a bit more cropped! I’ve linked a few similar you can shop from below. 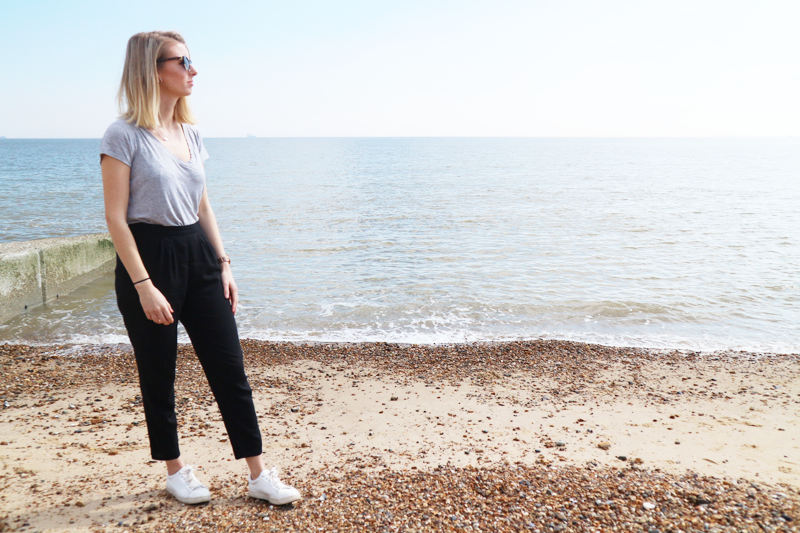 I’m also loving these black trousers I picked up in the H&M sale a while ago too – they’re light and comfy, and so easy to chuck on with anything!